We quite often talk about the coming together of the Old World and the New in regards to wine styles and production methods, but few examples out there are as comprehensive, refined or impressive as Mapu. This Chilean winery is the perfect product to demonstrate the rise in prominence of Chile in recent years, as it was opened by the proprietors of Domaine Baron Phillipe de Rothschild… possibly the most famous name in Bordeaux, and a giant in on the fine wine scene worldwide being the owners of Bordeaux estates Mouton Rothschild and Lafite. The Rothschild family quickly recognised the amazing potential parts of Chile for producing the kind of refined red wines they specialised in and were keen to write the next chapter in the history of Chilean wine; a history which stretches back to the 16th century. With all of these intentions in place, Mapu was born. The winery quickly established itself as an operation which brought together the best of Bordeaux expertise and attention to detail, along with a distinctly Chilean sense of time and place. While Bordeaux clones were imported and flourished well in the high altitude vineyards, it was the country’s flagship grape, Carmenere, that very much took centre stage. Today, Mapu is at the height of its powers. The Chilean wine scene has grown from strength to strength and the Rothschild’s gamble more than proved itself worthy of the expense. These are wines which blend the best of both worlds and demonstrate the amazing capabilities of their spectacular terroir in every bottle. The Argentines have their Malbec, but the neighbouring Chileans have Carmenere! Both grapes originated in south-western France, but are know far better known in these South American countries. 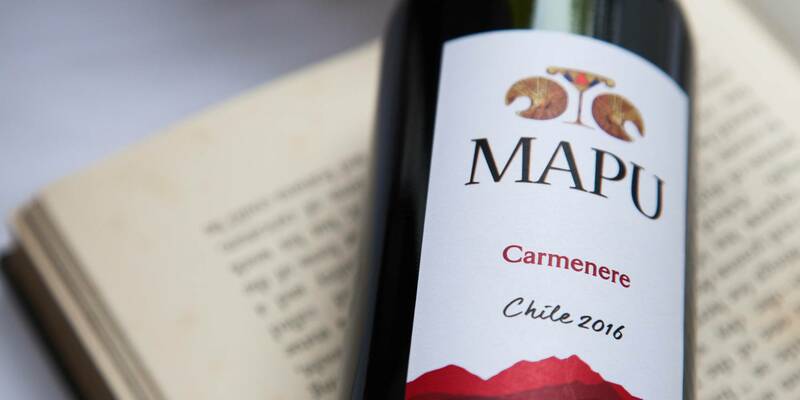 Carmenere shares some similarities with Cabernet Sauvignon - rich, dark-fruited and herbaceous. With the 2015 Mapu wine, the nose is dominated by red fruits like strawberry and cherry, and then lifted by a touch of blackberry. Underneath all this is the signature of Carmenere - a herbaceous note that is reminiscent of green tobacco and tomato leaf. There's also some lovely violet and lavender florals thrown into the mix. Not all about the fruit, however, there is a definite earthy edge to these wines. Savoury, but suave. The finish of the wine brings refined and stylish tannins, with excellent potential for ageing. The Argentines have their Malbec, but the neighbouring Chileans have Carmenere! Part of the reason for Carmenere’s continuing success is down to the fact that it pairs so well with food - and especially the kind of casual, flavourful, spicy street food that’s become so popular recently. 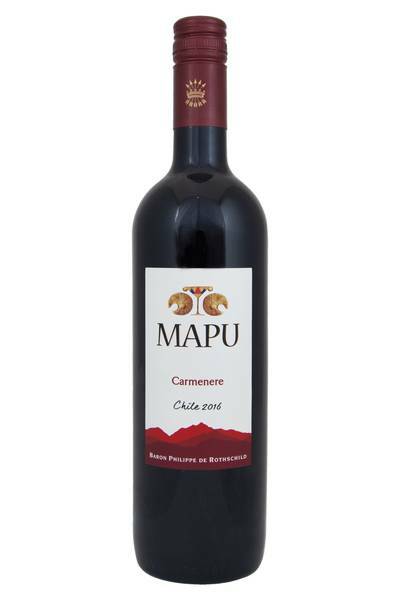 We always think that Carmenere - and this one from Mapu particularly - goes really well with smoky meats such a bacon, and it also goes just as well with lamb - especially curried lamb or Caribbean curry goat. Seared tuna is also a top match, especially when served with dark, leafy greens, and also with the ‘pulled’ meats you can’t seem to escape from at the moment. All in all, this wine is going to be a great pairing for intensely savoury dishes, and especially those that pack in a bit of smokiness and spice.